Estimate, plan, and deliver more profitable projects. 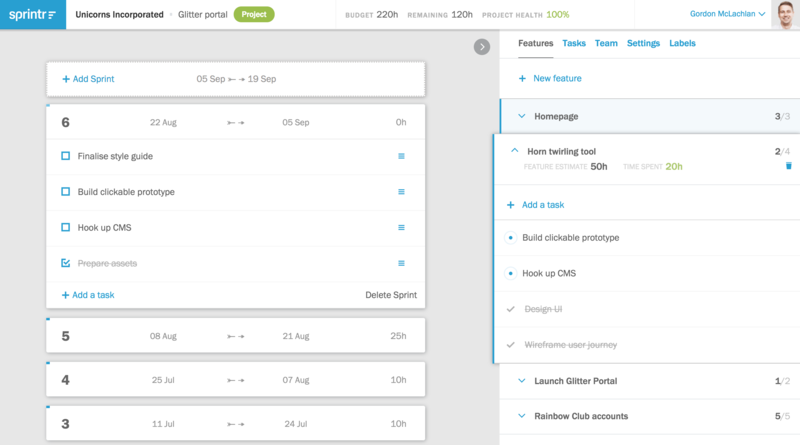 A new breed of agile project management is now available as a free beta. Estimating projects is hard, and keeping to time and budget is even harder. 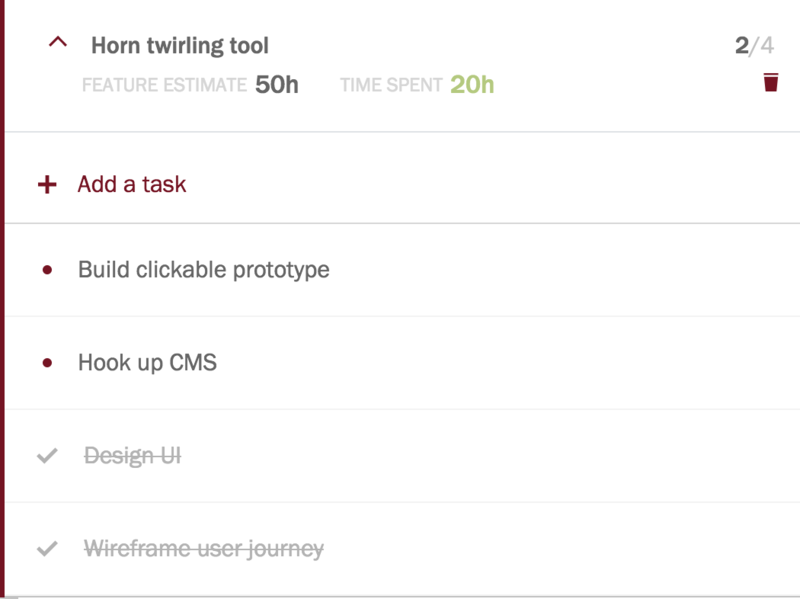 That's why we made Sprintr: a lightweight project management tool based on agile principles that makes estimating and planning easy, allowing you to actually focus on the work at hand. Promising the world on an unrealistic budget makes for unhappy designers, developers and clients alike. Make sure the scope fits the budget by creating specific estimates from the start - and then convert them to live projects as soon as you get the thumbs up. No-one likes being in the dark about budget. How much has been spent? How much is left? 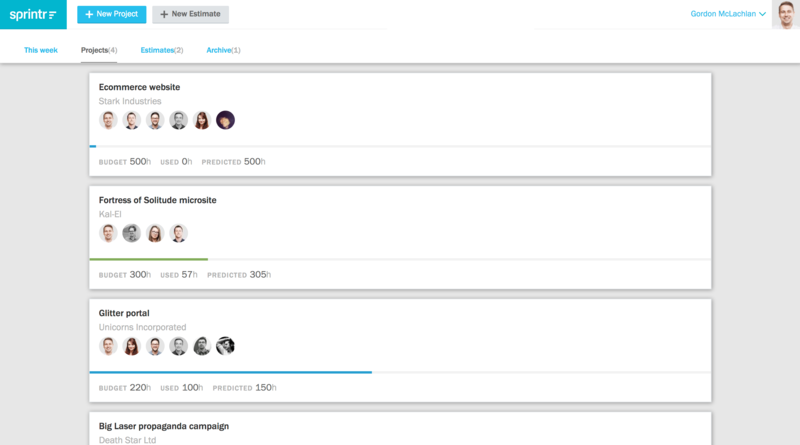 Sprintr puts time spent upfront and centre, allowing anyone to review budget and spending at any point during the project lifecycle. Collaboration is the key to any successful project and Sprintr gives you a single place to manage everything your team and clients need to accomplish together on a project. By assigning tasks and tackling them sprint by sprint, you can all work towards a common goal as a single unit. Keeping track of hundreds of tasks across multiple projects is never easy. With Sprintr you can bundle your tasks into groups called Features and stay on top of your progress with a sprint based timeline. 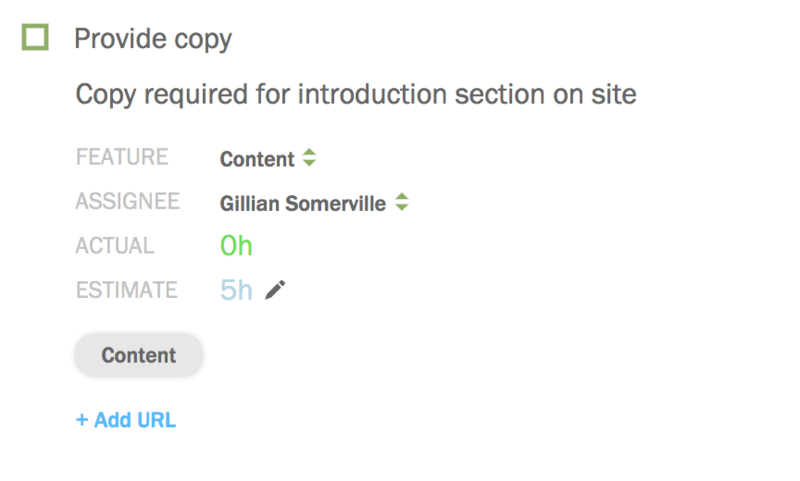 Assign tasks to anyone on the project, including your clients. Keep your team close and your clients closer! Fully automated email reporting ensures everyone is up to date on budgets and progress without having to log in to check. Sprintr is still in beta and, although we may charge for it in the future, it’s currently completely free and will remain that way for anyone who has an active account once the beta ends. It’s our way of saying thank you to our early adopters. So why not check it out and solve all your agency problems. © Sprintr Limited. Company No: SC575408. Registered address: 6 Logie Mill, Beaverbank Business Park, Edinburgh, Lothian, Scotland, EH7 4HG. This site uses analytical cookies to monitor visits and usage. Please contact us for more information.